MSC Cruises has taken delivery of MSC Seaview, the newest ship to join the fleet and the second in the Seaside class. The ship was delivered by the Fincantieri shipyard in Italy and marks the completion of construction. A handover ceremony was held today at the Fincantieri shipyard in Monfalcone, Italy handed over the new MSC flagship MSC Seaview. It’s unbelievable at how the cruise line is expanding as this is now the third new MSC cruise ship to be delivered in just 12 months! This is part of MSC’s expansion plan to have a total of 24 mega ships by 2026. 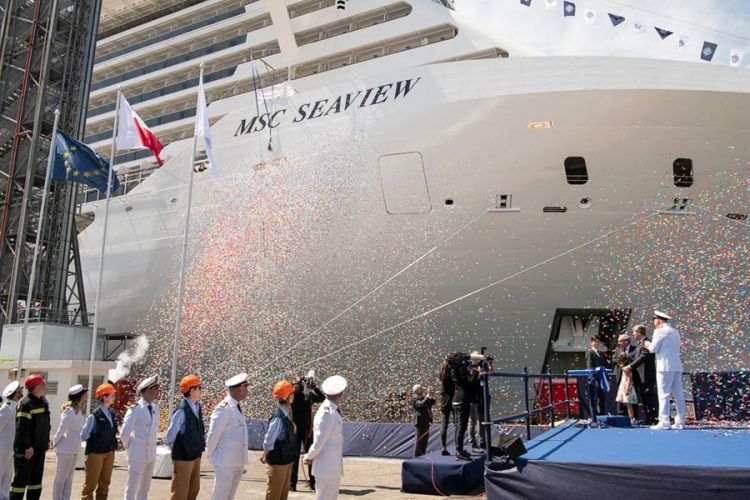 The delivery ceremony was attended by executives from the cruise line, local officials and the Italian shipbuilder which also built sister ship MSC Seaside which joined the fleet in December 2017, the first in her class and sister ship to MSC Seaview. The new MSC vessel will be departing the Fincantieri shipyard today for a 3-day voyage to Genoa. The ship will arrive at her new homeport on June 7, 2018. 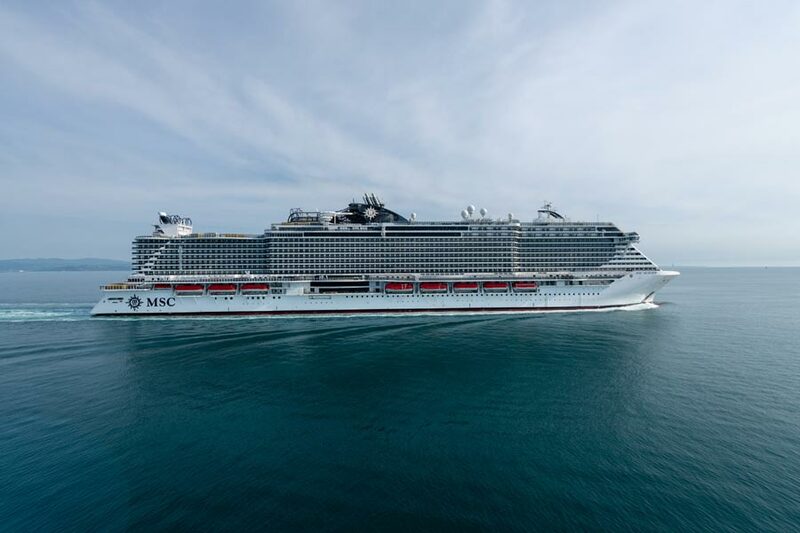 MSC Seaview will be christened on June 9 in Genoa, Italy and will begin her inaugural season sailing the Meditteranean for the Summer season In the winter season the new flagship will be based in South America. The maiden voyage from Genoa with regular cruise passengers will depart on June 10 and last for 7-days. Cruise destinations on the inaugural cruise include Naples, Messina, La Valletta and Marseille before returning to the homeport on June 17. MSC Seaview becomes the 15th ship in the fleet and offers a unique “beach condo” style design where the outside can experience like no other MSC class ship. She’s 153,516 gross tons, can carry 4,132 guests based on double occupancy, carrying 1,413 crew members and interesting fact that 4,000 Fincantieri employees were involved in building the ship.